Heat chicken broth in a large pot over medium-high heat. Check your Xperia Z for any new emails. In a separate pan, heat olive oil, add diced onions, cook about 4 minutes. Pull up your favorite music video on the Xperia Z. Add onions, oregano, basil to broth. Chop celery and carrots. Accidentally cut your finger. Look up first-aid for deep cut on Xperia Z. Try not to bleed in soup. Add celery and carrots. Heat to rolling boil. Drop Xperia Z in soup. Xperia Z is fine. 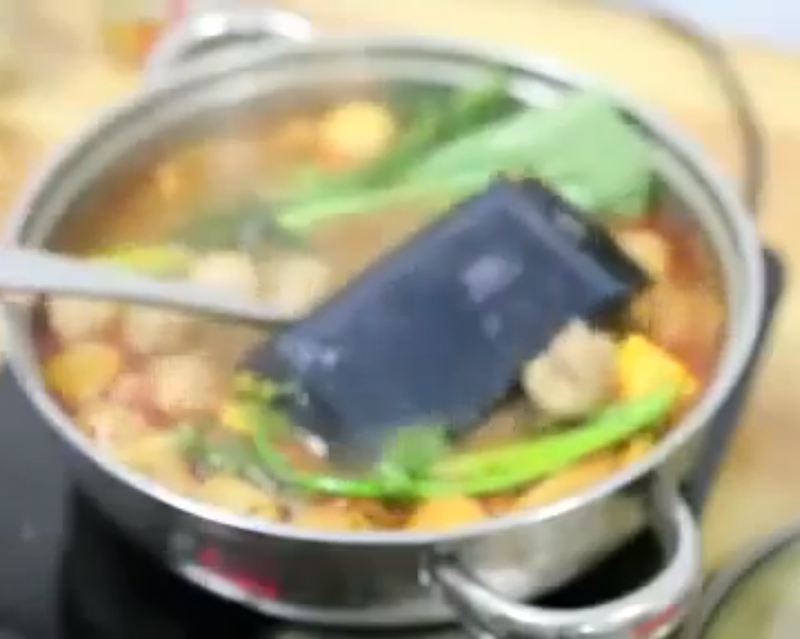 At least, according to this video of a Chinese man demonstrating the durability of the water-resistant Xperia Z as it gets dropped into a bowl of boiling hotpot. Granted, he doesn't leave it in for too terribly long, which is probably a good idea. While the handset may be capable of surviving the broth, we're guessing that boiling temperatures won't do nice things to the battery if left in for too long. Still, as demonstrated, it works just fine afterwards. According to a quick translation we received, the narrator says that he put white pieces of paper in each of the slots and they remained white after removal, indicating that nothing was able to enter via the sealed dust covers. Unfortunately, the Xperia Z did not hold up nearly so well in this video. Sony promised the Xperia Z could survive a lot of things. A giant hammer to the face was not one of them. So, unsurprisingly, when the man in this video drops a mallet on to the screen of the phone, it shatters the front glass, the display, parts of the side casing, the rear glass, and generally assures the user that this is the least favorable thing that could happen to your handset. If you absolutely must mix phones and hammers, though, may we interest you in an HTC One X? Moral of the story: You should probably keep your Xperia Z out of the garage and in the kitchen.